ePACT is proud to support the Canadian Red Cross working to help families, organizations, and communities better prepare and respond to any crisis. 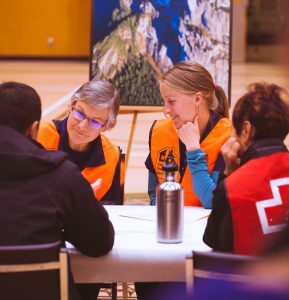 This includes collecting critical data to support those impacted by the BC fires, actively promoting Red Cross training courses, safety and emergency kits, and offering special discounts on supplies for ePACT users across the country. We want to ensure organizations we rely on every day have the information and communications needed to address any emergency, and are committed to making a difference in the lives of Canadians from coast to coast. Get 20% off emergency and disaster preparedness supplies, first aid kits, flashlights, and more with Canadian Red Cross!